On Monday, December 14th, YNPN Austin and AYC are presenting the sixth session of the Austin New Leaders Academy entitled "A Career with Intention: Your Personal Success Equation." 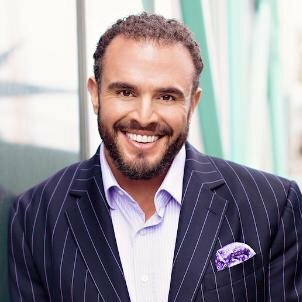 Speaker Alex Charfen, CEO of business consultancy CHARFEN, LLC, will take you through two important exercises: one identifies the structure behind your most successful periods in life; the other projects this structure forward in planning out your career. By the end of this session, you will have a new perspective on your future and a concrete plan to move forward today. Alex has dedicated his life to answering the question, How do you make business grow? which evolved into a larger calling to understand How do you help people grow? It was this transition that led Alex, quite unexpectedly, to uncover a previously mislabeled and misunderstood population among us: the Entrepreneurial Personality Type (EPT). For the past two decades, Alex has created and curated proven business philosophies, models and strategies geared specifically to entrepreneurs. Expert in business growth with majority ownership of several multimillion-dollar businesses, Alex has been invited to share his strategies with business owners across the country and around the world. Alex is regularly called upon by major media outlets, including MSNBC, CNBC, FOX News, the Wall Street Journal, USA Today, and The Huffington Post to provide his unique views and insights. Alex lives in Austin, Texas, and enjoys with spending his free time with Cadey and their daughters, Reagan and Kennedy.